The Guyanese man, who is fighting extradition to the United States (US) to face a murder charge, would later this month know whether the process would be quashed or he would continue to face the proceedings in the Magistrates Court. 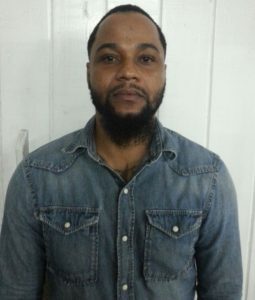 Troy Anthony Thomas was arrested on March 14, 2018 at Liliendaal, East Coast Demerara in connection with the gunning down of another Guyanese, 20-year-old Keith Frank, in Queens, New York in 2011. Providence Magistrate Sherdel Isaacs East Bank Demerara, acceded to a request by Defence Lawyer, Nigel Hughes that her court should await a High Court decision on a civil case that is challenging the legality of the extradition proceedings. Isaacs adjourned her hearing of the extradition case until May 10, 2018 when she is expected to receive a report on the status of the High Court case. In the interim, Hughes has also undertaken to provide the Magistrate with copies of court documents that he and the prosecutor will be filing in the High Court. “It would be prudent to await what the High Court would have to say before I proceed,” the Magistrate said. The High Court case is set for a first hearing on Friday, April 13, 2018 before Justice Jo-Ann Barlow. From a preliminary look at things, the High Court case can take a while because the State would be given time to file an affidavit in response. Attorney-at-Law for the United States, Stacey Goodings said she was relying on previous decisions, including one by the Court of Appeal that deals with the validity and enforceability of the 1935 Extradition Treaty between the US and Britain that Guyana inherited at the time of independence from Great Britain. “The Treaty is unenforceable in its current format in the absence of domestic legislation,” Hughes said. That treaty, according to Thomas’ lawyers, was an Order-in-Council and was not accepted into domestic law and cannot be enforced by a Magistrate. Assistant Superintendent of Police, Simeon Reid was present in court and was ready to stand as a witness in the case if the magistrate had decided to proceed with the matter. Attorney-at-Law Hughes said the amendment to the Fugitive Offenders Act that purports to direct the the magistrate is unconstitutional. 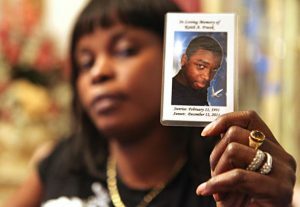 Thomas’ lawyers contend that the Treaty does not contain a provision that prevents, in this case the US, from extraditing him to a third country.